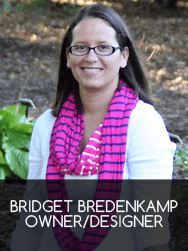 My name is Bridget and I am the owner of Design by Bridge. I have been in the business of designing websites since 2003. I pride myself in creating efficient, clean & attractive websites with a patient and eager attitude. I fill a niche, serving clients that expect professional results without paying an arm and a leg. I have a long list of happy clients because our relationship doesn't end when the website is complete. I have a background in technical service and support which is instrumental in relating to clients with varying technical skills. I currently reside in Lincoln and in my spare time I enjoy playing basketball, guitar and spending time with my family. I love music and one of my favorite things to do is to see an up-and-coming musician at a small venue. If you need a website and don't know where to start; let's chat. Drop me a line and I'd love to show you how I can create a professional website for you without breaking the bank.